The process for finding the ideal commercial carpeting for hotels shares much similarity to the one for office buildings, restaurants, cafes and casinos. Like many corporate locations, the need for durable materials to take on the extra foot traffic over residential areas results in longer-lasting carpeting in general. However, hotel carpeting tends to focus more on design and colors. When there’s a clientele of vacationers, guests, and business travelers to impress, any boost to curb appeal is worth the investment. 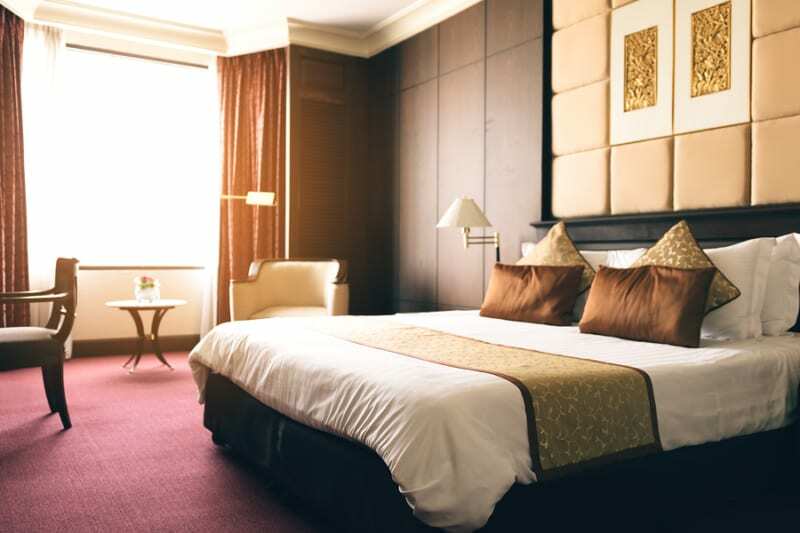 Make a well-informed decision on your hotel’s commercial carpeting to make guests feel welcome and relaxed, as well as make your business look more trustworthy and attractive. Like many business locations, hotels have a variety of different “hotspots” for foot traffic. Carpets near pools or spas, for instance, need a degree of waterproofing. High traffic areas like hallways and lobbies could use some extra durability and weatherproofing. While commercial carpeting is typically built more durable than residential carpeting, there are still tiers of strength available. Invest more in areas needing high wear-resistance like reception lobbies; lower strength carpets might be enough in rooms and closets if you need to conserve your budget. In other words, balance the cost with longevity when it comes to deciding on internal flooring. Finally, the length of the warranty provided by the manufacturer tends to reflect the resilience of the carpet. A 10-year warranty gives you more peace of mind than a 5-year one, for example. Heathered colors are popular options for hotels and commercial spaces. Made with interwoven pieces of mixed colors, heathered commercial carpeting forms a shade of the two colors, which, while more expensive than regular carpets, more easily hides stains and scratches. • Choose colors that complement the rest of the room. A library with dark wood grain furniture might be paired up with a similar color in the carpets. • An extravagantly decorated room could have a simple design on the carpet to prevent an overtly flashy appearance, whereas a simple decorating job might need a complex carpet design to avoid a dull look. You may find custom fitting worth the extra cost, especially in popular rooms like reception desks where customers first get their impressions of your hotel. And don’t be afraid to make a unique statement with your carpets. Your hotel’s identity is expressed partly through the colors of your flooring, so welcome your guests with a beautiful commercial carpet today. With hundreds of commercial carpeting providers serving the Toronto, Mississauga and Markham areas finding the perfect one for your hotel’s project is a challenge. Consider contacting us at Cadillac Carpet & Flooring for the whole process; from a complimentary on-site consultation to designing to installation. We have over 25 years of experience serving Canada’s best retail stores, offices, and hotels. And don’t worry about the materials. 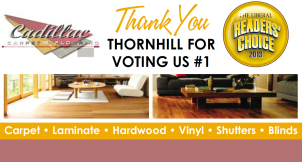 We carry some of the market’s best brands like Anso, Stainmaster, and Bruce Hardwood Flooring. Commercial carpeting for hotels has never been this easy. • Commercial carpeting for hotels tends to focus on aesthetics just as much as durability. • Understand that different areas have different durability needs. And think about how the design fits in with the rest of your interior. • Cadillac Carpet & Flooring is your go-to for hotel carpeting. Contact us today for a free consultation.